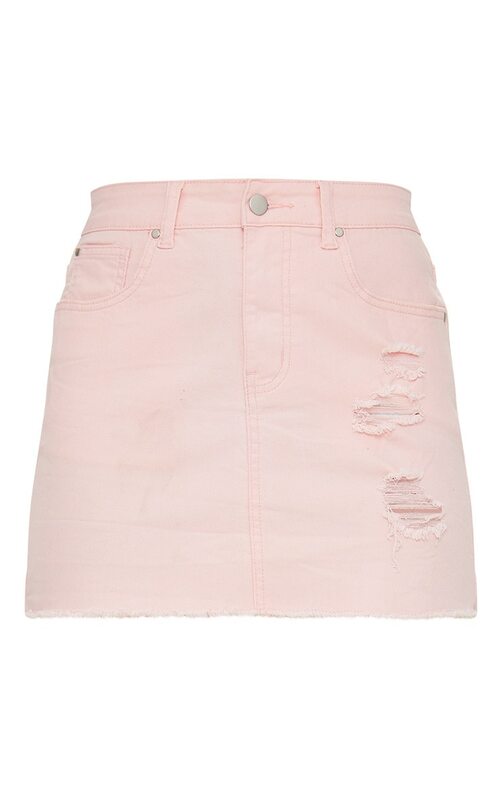 Be pretty in pink with this head turning mini skirt. Featuring a baby pink distressed denim in a figure skimming fit. 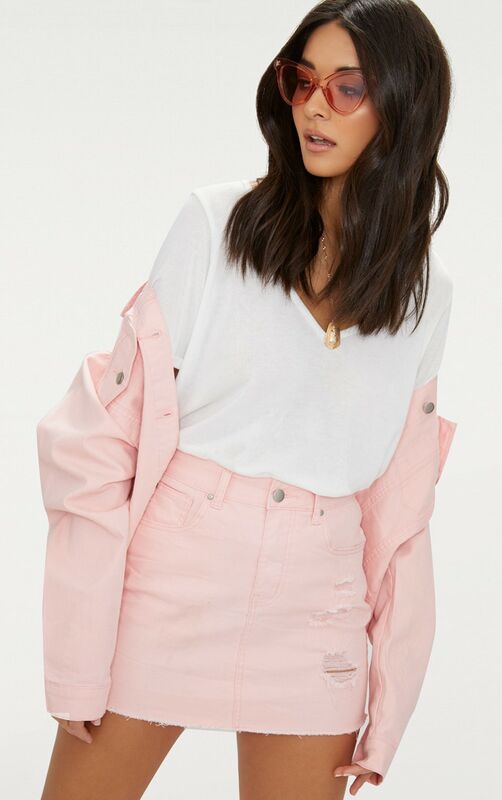 Work this essential denim skirt with a basic tee and the matching denim jacket for a look that will take you from light to dark.